SpaceX successfully launched its first recycled rocket Thursday, the biggest leap yet in its bid to drive down costs and speed up flights. The Falcon 9 blasted off from Florida's Kennedy Space Center, hoisting a broadcasting satellite into the clear early evening sky on the historic rocket reflight. It was the first time SpaceX founder Elon Musk tried to fly a booster that soared before on an orbital mission. Musk called it an "incredible milestone in the history of space" after the booster landed on the bull's-eye of the ocean platform following liftoff, just off the east Florida coast. 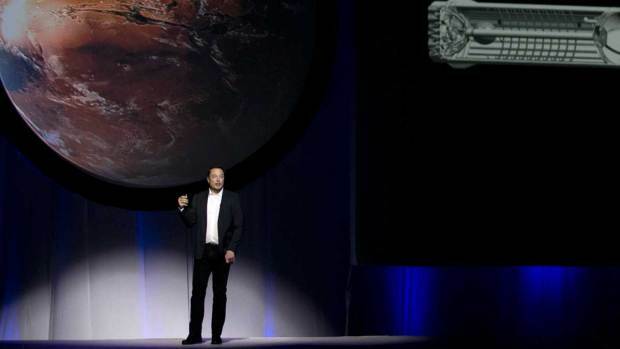 Musk added: "This is going to be a huge revolution in spaceflight." This particular first stage landed on an ocean platform almost exactly a year ago after a space station launch for NASA. 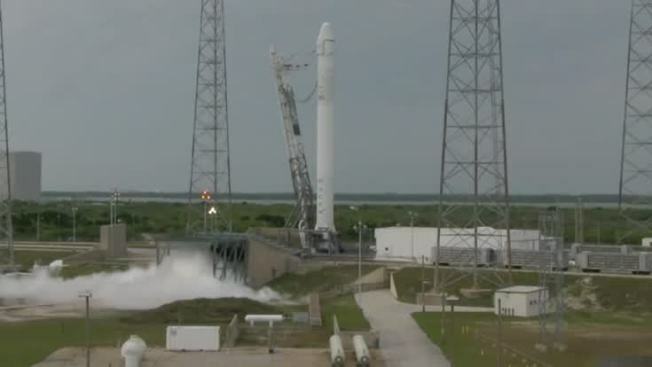 SpaceX refurbished and tested the 15-foot booster, still sporting its nine original engines. It nailed another vertical landing at sea Thursday once it was finished boosting the satellite for the SES company of Luxembourg. SpaceX employees jammed outside Mission Control at the company's Southern California headquarters, cheering loudly every step of the way — and again when the satellite reached its proper orbit. Longtime customer SES got a discount for agreeing to use a salvaged rocket, but wouldn't say how much. It's not just about the savings, said chief technology officer Martin Halliwell. Halliwell called it "a big step for everybody — something that's never, ever been done before." Boosters — the most expensive part of the rocket, according to Musk — typically are discarded following liftoff, sinking into the Atlantic. SpaceX began flying back the Falcon's first-stage, kerosene-fueled boosters in 2015; it's since landed eight boosters, three at Cape Canaveral and five on ocean platforms — actually, six times at sea counting Thursday's redo. The company is working on a plan to recycle even more Falcon parts, like the satellite enclosure. For now, the second stage used to get the satellite into the proper, high orbit is abandoned. Blue Origin, an aerospace company started by another tech billionaire, Jeff Bezos, already has reflown a rocket. One of his New Shepard rockets, in fact, has soared five times from Texas. These flights, however, were suborbital. As for this SpaceX reused booster, Halliwell said engineers went through it with a fine-toothed comb. SES has a long history with SpaceX. A SES satellite was on board for SpaceX's first commercial launch in 2013. 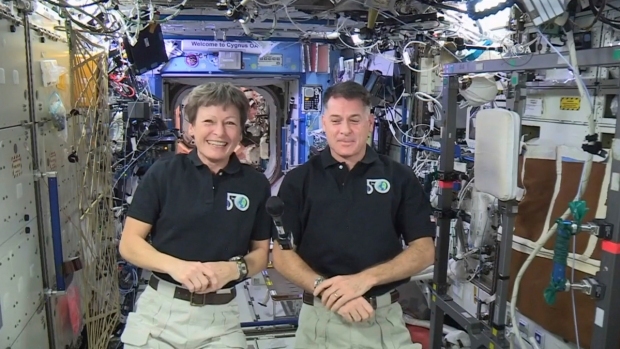 NASA astronaut Peggy Whitson floated out on the eighth spacewalk of her career Thursday morning, 250 miles up at the International Space Station. That's the most spacewalks ever performed by a woman. Key to all of this, according to Musk, is the rapid, repeating turnaround of rockets — and employees. SpaceX posted a help wanted ad on its webcast following the launch.